Here comes another digital marketing recap for February 2018. This time, I tried to eliminate as many updates – with tears in my eyes – as possible that didn’t have a direct impact on businesses. This coincidentally means I’ve cut down on some of the obvious function updates to keep it short. If you want to know more or less – just let me know. This month, you might notice several AMP updates. 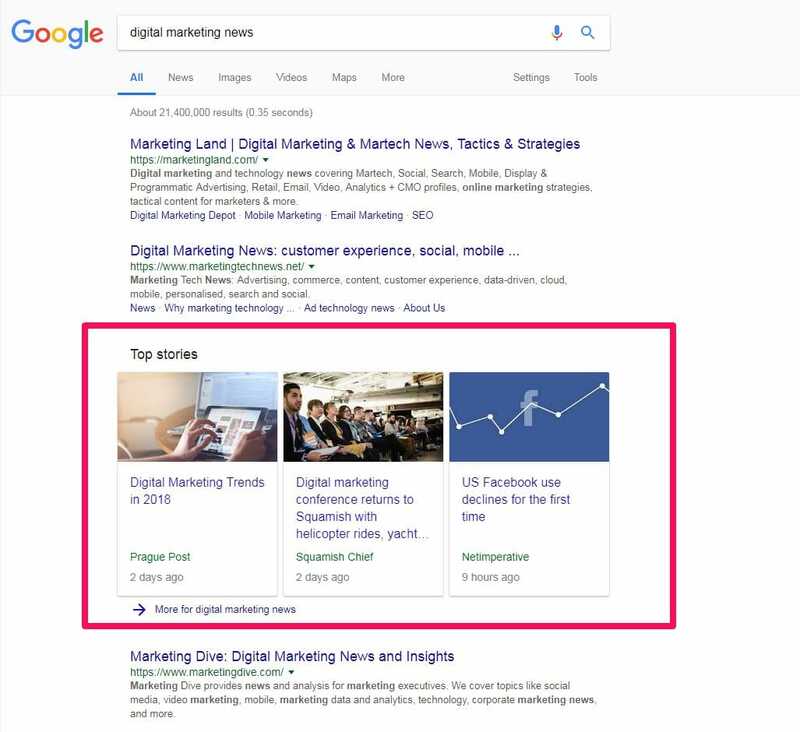 These include Google launching their AMP Stories which look identical to Facebook and Instagram Stories, as well as an AMP for Gmail which lets you create dynamic email content and more. According to Marketing Land, 31 million domains that are Google’s ad network partners have adopted AMP, and they are earning three times more revenue per day. For those who don’t know exactly what an AMP is, it’s basically a super-fast-to-load mobile page. Since more and more people are demanding faster and quicker experiences on mobile, the AMP framework is playing a major role. Speaking of Google, they’ve continued to focus their efforts on improving featured snippets to improve the user experience on Mobile and Voice devices as demonstrated by the launch of their comprehensive guide on featured snippets and the test of multifaceted featured snippet. They also never forget to update Google Assistant, the artificial intelligence behind Google Home. For more sweet details, check out our updates below. Google will end the integration of Google Merchants and third party e-commerce platforms including BigCommerce, Magento and PrestaShop on March 20, 2018. If you currently use this integration, you need to set up your shopping feed directly on Google Merchant. Since the launch of Mute This Ad in 2012, Google has seen millions of people using the functionality to silence ads on a daily basis. Along with the excessive demand to control ads users see, Google responded with their launch of Your Reminder Ads. This update will roll out for Youtube, Gmail and search in the coming months. As part of Google’s local initiatives, they’ve launched a new platform where you can share and discover hyperlocal news – Google Bulletin. The app is only available in some states in the US as it traverses through a test launch. Along with 50 million Google Map Local Guides, I’d imagine they’ll easily expand the user base. I’d recommend keeping an eye on Google Bulletin updates. Google launched the comprehensive guide for featured snippets. As I’ve mentioned in previous posts, 80% of answers provided through Google Home (Google Assistant), Google’s voice device came from the snippet and Google has been testing fewer search results on mobile (2-5 results / top page). Without a doubt, the featured snippets have become more and more important especially for voice and mobile search. I won’t cover the detail on this post, but would recommend you take a look at the Google post. Google Flights now can predict airline delays before the airline even knows (what?). Google Flights won’t pull the delay information directly from the official airline, but rather use the historical data and machine learning algorithm to predict airline delays. I’m assuming they establish the probability based on weather, an aircraft arriving late, and so on. This will definitely help travelers. Google added a new function – SEO Audits – to their Chrome’s Lighthouse extension. It seems the SEO audit function only covers basic SEO audits like meta tags, HTTP status codes, robot text. It’s not going to completely replace the existing SEO tools – yet! Google has been trying to provide richer experiences and the launch of AMP Stories is definitely a huge step in that direction. The AMP Stories format as super fast to load as other AMP content and is more visually focused. It looks similar to Facebook and Instagram Stories. In order to see how AMP Stories look visit g.co/ampstories on your mobile and type one of the publisher names like CNN, Mic., SB Nation, or Mashable (among others). Google launched another AMP initiative – AMP for Email – in order to provide better experiences on email. With this AMP framework, email content becomes dynamic content and it will be a big help for certain situations like setting up meetings. Everyone’s had experience with meaningless back and force emails just to find a time that works for both parties. Email campaigns will now provide richer experiences for receivers without leaving their inbox for more information – see below. In order to get the access to AMP for Email, you need to sign up the Gmail Developer Preview of AMP for email. Google removed the ‘Visit Image’ button on Google Image search. This helps Google prevent people from stealing copyright protected images. Google officially mentioned this move is related to a new partnership with gettyimages. Google now shows mall directories. You can navigate through the new tab ‘Directory’ when you search for local malls. With this update, you won’t have to go to the mall website, which can be hard to navigate, to see what stores are in the mall from now on. For the Crawl this URL and its direct links, 2 requests / d will be the new limit for the replacement of 10 requests / m (30 days). To find more information, visit their new help page. Google announced they’ll keep rolling more sites to the mobile-first index over the next several weeks. If you’re not ready yet, I’d recommend creating a responsive website at least. Find out more about the details on mobile-first index here. 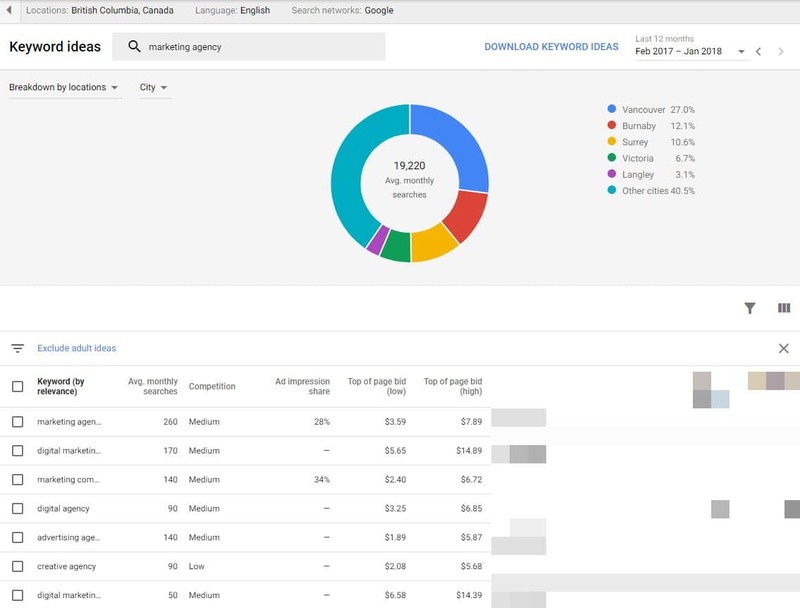 Google updated their Keyword Planner to be consistent with the new Google Adwords and Search Console design. In the keyword discovery section, you can see keyword ideas, keyword search volume trends, as well as the breakdown of searches including platform (mobile, tablet, desktop) and locations (city, municipality, province, territory). There are two new columns: Organic impression share and Organic average position. In order to activate them, you’ll need to link your Search console account with your Google Adwords account. In the metrics & forecast section, now you’ll see the campaign projections with key metrics. This includes clicks, impressions, cost, CTR and average CPC. 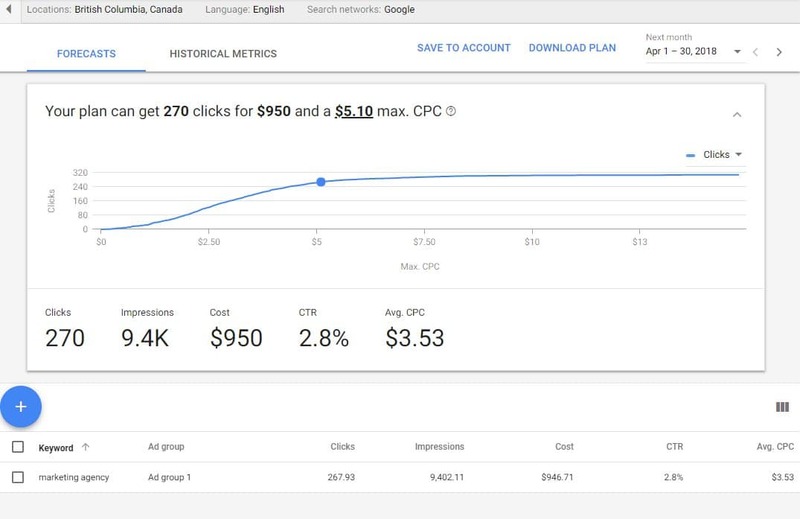 You can project the number of clicks you get with certain amounts of CPC, which looks pretty similar to Facebook’s ad performance projection. Even though I feel the projections may be overestimating the metrics, this helps you get a better sense of how much it costs and how much you can expect in return. Google keeps focusing their efforts on polishing up their voice intelligence, Google Assistant. The updates include multilingual support, language expansion, and continuous function additions. including routines and location-based reminders. They plan to make it available in 30 languages (up from 8) over 2018, which is a huge advantage over their competitors given Amazon’s Alexa only speaks three languages and Apple’s Siri speaks a modest 20. To find more information on Google Assistant updates, check out these resources. Google released a new tool, the mobile Speed Scorecard, which allows you to compare your mobile site speed with your competitors. If you scroll down to the bottom, there’s a calculator for the potential revenue impact based on your average monthly visitors, average order value, conversion rate, in order to illustrate how page speed impacts your revenue. It seems like this tool won’t detect the page speed for smaller websites like their new page speed insights which they launched in January. 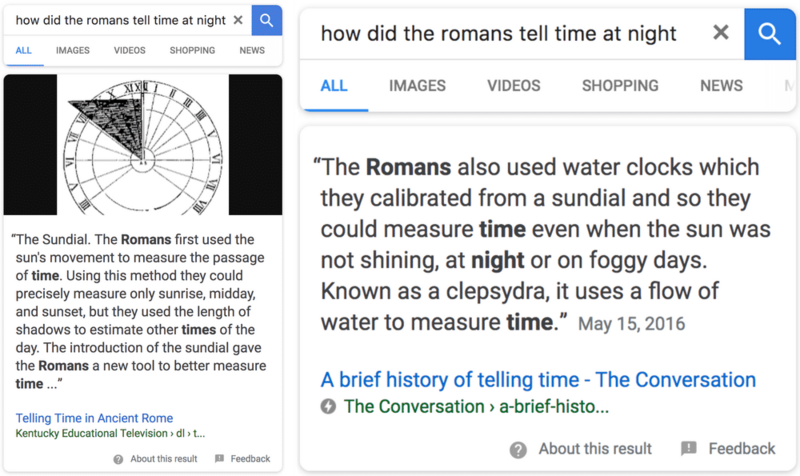 Google updated the featured snippets to provide multiple featured snippets when a question or query is broad enough to have several interpretations. Google launched Hangouts Chat as part of G Suite. Simply put, it’s a similar solution to Slack or any other work communication tools. Like Slack, this allows developers to build their own bots as well. What makes this different is the deep integrations with Google products like Google Calendar, Drive, Sheets, Docs and so forth. Secondly, the AI technology improves workplace communication with the @Meet bot which helps schedule meetings for multiple people without any hassle. Another update for your Facebook News Feed: Facebook is increasing visibility for local news on the News Feed. Mark Zuckerberg, Facebook’s CEO, announced the platform will show more stories from news sources in the user’s local town or city. They will test this update in the US first and expand to other countries over 2018. Facebook updated their ads policy to ban financial products which are frequently associated with deceptive promotion practices. This includes binary options, initial coin offerings, and cryptocurrency. Previously, Facebook counted organic reach (not paid) based on how many times Facebook delivered your ad. However, this indicator doesn’t necessarily show how many times your ads showed up on a user’s screen. With this update, Facebook will start displaying stricter definitions of organic reach, meaning only indicating how many times your ads appeared on the users’ screen. Facebook will continue showing organic reach calculated by the previous definition. You may see drops in organic reach with this new definition, but there’s nothing to worry about. Facebook rolled out their official support for 3D posts. Now, creators can create and share interactive 3D content on Facebook. One of the easiest ways to create 3D content is Sony’s 3D Creator app through the Xperia XZ1 phone. 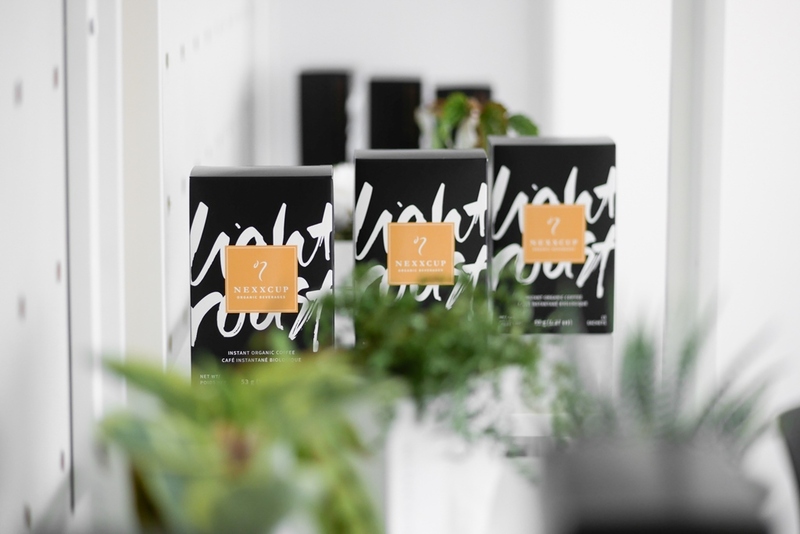 While leveraging the 3D format is no easy task, it holds the potential of providing richer experiences for fashion and retail industries down the line. To clean up advertisers’ confusion regarding ad metrics, Facebook will remove unnecessary and redundant metrics from Ads Manager and add clarification on each ad metric including how it’s calculated and how you should use it. You can see the full list of the 20 metrics that they will remove here. Having launched ‘job post’ in the US and Canada last year, Facebook decided to open it up to a whopping 40 countries. Like TechCrunch pointed out, it seems job posting is mostly used by businesses looking for blue collar jobs like cleaning staff and drivers. This may cultivate the type of job market that’s not the right fit for – say – LinkedIn. Instagram launched their new API called Graph API to replace their old API called The Instagram API Platform. It will be easier for businesses to manage their Instagram along with new features which include post schedule, mention monitoring, and more. If you are using the old API, they’ve laid out the timeline in terms of when they will end which function on their post. I’d recommend you check it out. Instagram started testing Collection Ad format on the Instagram feed, originally launched on Facebook. Unfortunately, the new ad format is only available for limited advertisers, but it will be available to everyone soon. 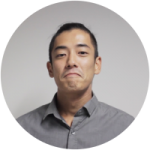 Akihiro Nomura is the SEM/Digital Marketing Specialist at My Loud Speaker Marketing who enjoys Excel formulas just as much as he loves beer. Akihiro has been thoroughly planning, researching, executing, and analyzing SEM strategies for businesses for the past 6 years, and believes in the importance of educating his clients to create strong and effective partnerships. My Loud Speaker Marketing | Creative Strategies. Authentic Approach. Proven Results. We Get Sh*t Done. Is Advertising a Waste of Money? Let us help you develop the real strategy that works. 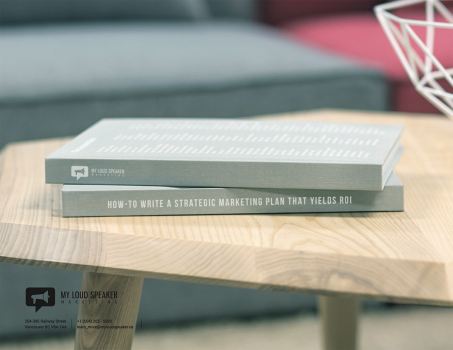 Sign up for valuable marketing tips that have led our clients to award-winning marketing.